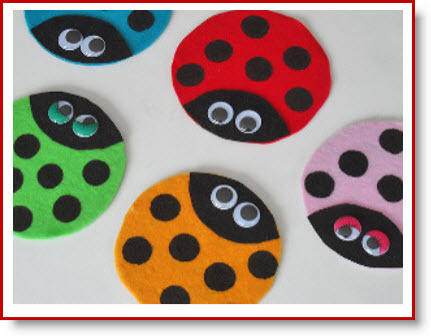 By, Amanda Formaro for “All Free Kids Crafts” has this cute project “Felt Ladybug CDs DIY” for kids! This DIY could not come at a better time because it is spring vacation and cold in the east so indoor crafts will be in order. Amanda has an easy tutorial for you and the kids to follow. Check out “CraftsbyAmanda.com” for other fun projects and tutorials. You are so welcome 🙂 Very clever idea.